I am addicted to the internet. I realized it one evening last month, a few days after Christmas. I went to my office, which was closed for the holidays, to work on my book for a couple hours before I had to be somewhere. I opened my computer and sat down. An hour later I had done nothing. Well, I had checked my email, refreshed Facebook any number of times, scrolled through some favorite blogs, read an ‘important’ article or two, and scanned my Twitter feed. But I had not even opened the file that held my half-written book. And my book is my dream. It is what I want my future to be founded on. But instead of using that hour to push it closer to completion, I surrendered the hour to things that had no lasting value. I realized in that moment that if I don’t write this book, then I am not the person I thought I was, that I aspire to be. Thinking back over the past years of my life I saw a clear pattern: hours siphoned away into the stream of social media and blogs and funny videos. And if there’s one thing that determines whether a dream will starve or thrive, it’s how you use your hours. 650,000. That’s how many hours the average person gets on this earth. We sleep away a third of them and we’ve already lived another chunk. And whatever you believe happens when we die, the only life we know we have is the one we’re living right now, hour by passing hour. And the only way we will see the dreams of this life fulfilled is if we pour our hours into them. I did the math for myself the other day. I have about 260,000 waking hours left. That’s it. And the hours that have passed can never be reclaimed. They have either enriched the current hour and pushed me closer to fulfilling my dream, or they haven’t. And for each one, it was my choice. 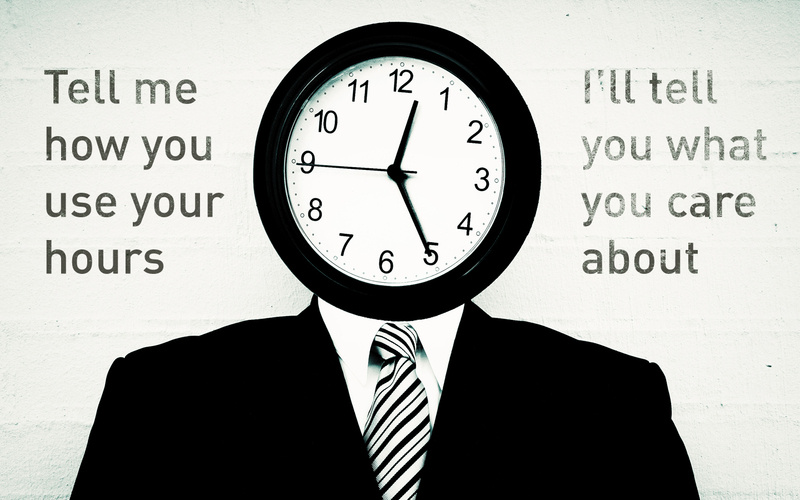 My mission for 2012 is to reclaim my hours, one by one, as they come to me, and to use them for the things I care about most. That evening at my office I downloaded an app called Freedom that lets you cut off your computer’s networking capabilities for up to eight hours at a time. I set it for one hour, opened my book, and wrote. Whatever your dream is, it needs your hours. Figure out what’s stopping you from putting your hours into the things you care about the most, and overcome it. Do it today. Do it now. Don’t waste another hour. James!!! This is exactly where I am right now. Like the question i asked in my letter–why do i do this! No more wasted hours for me! I think you and I are far from alone in this challenge. My goal is to be more honest with myself and others about it, and hopefully come together around some good solutions to use all these new tools for their highest benefit, rather than letting Zuckerburg use us. It’s ironic that I found your blog on Facebook. I, like so many, am so guilty of surrendering my time to the ephemeral and then wondering where all my time goes and why I’m unable to make the impact I know I can. Thank you a million times over for reflecting on that moment, writing about it, and sharing it with us. I recently was given my weekends back for 5 weeks, after 2 years of not, and have been so disappointed with how I’ve used the newly freed time. So many plans I had made with step one still on the to-do list. I will most definitely have intention with each hour I’m given going forward because of your post, and I am so thankful! I can’t wait to read your book! Jenni, thank you for commenting. I know just how you feel! It’s very easy, insidiously easy, to spill our hours into these things that feel valuable in the moment, but leave us at the end without any discernable value. I’m glad you resonated with this! Go out and do those things you value most! I’m right there with you. Oddly enough, I just finished reading Ordering Your Private World. There’s some overlap in message. I have question about rest, which I would say is different than amusement (internet) but also has some overlap. As a person who wants to live a worthy life, how do I tell the difference between making the most of my valuable hours and running myself into the ground? I’ve noticed (with some gentle nudging from loved ones) that I can work myself into a lot of anxiety with to do lists of important things. I’m bad at resting and relaxing. How do I live the life I’m supposed to? Joey, great to hear from you! Thanks for the thoughtful comment. You raise a tough and important question – how do we strike that balance of using our hours well while not running ourselves ragged? It will not surprise you that I don’t have an easy answer. My best thought so far, as I’ve tangled with the same question, is basically honesty with self. First, being increasingly honest with myself about what’s most important to me. For instance it turns out that physical fitness is something that I really value but haven’t given much time to, so now I’m running a lot, which most would classify as a leisure activity (give or take) but is something I truly value. Second, being increasingly honest about how much R&R I need in order to focus on those things. My appetite for comfort is enormous and will gladly cannibalize my hours if I’m not watchful. Meanwhile, as I do more of the things I truly care about, my need for mental and emotional recharge actually declines a bit. But it’s important to consistently check in with yourself and learn to be an honest appraiser of your needs, and then to give those priority. I love the connection you developed between dreams & the use of hours. Also, I really loved the waking hour calculations. Sometimes those calculations bring these seemingly insignificant issues into enough light to spur change & improvement in our behavior or habits. Thanks Max! You touched upon some of the same salient points that have struck me lately. Really glad you found value in this piece. Wow. Color me inspired. And embarrassed at having to cop to the truth. But mostly inspired. See, my problem is that I have cordoned off my facebook access quite a bit, and I manage to justify such an awful lot of my spent hours as “fostering my blog readership” and “seeking out inspiration.” Hate to admit how frequently I am kidding myself. Sure, a little of it is fostering readership or sourcing inspiration. But is it even the majority? Doubtful. Ha! Great point Jasmine. Thanks for the fun and encouraging comment. There is surely some irony in my promoting an anti-blog-and-Facebook blog post on Facebook. But hopefully the point is not lost, that blogs and Facebook are fine things, so long as they don’t detract from those things that are most important. Indeed, thanks to the internet all of the accumulated knowledge of the millennia is only a Google away. Whatever I deem most interesting and valuable I can find in a moment, if only I’ll keep my focus for that moment. But often, I don’t. I get swept away in the stream of status updates and twitter hashtags and cute, hilarious cats. And herein lies the problem. Our most powerful tool is also our greatest distraction. Solutions must be had. Thanks for reading, and I’m glad that you resonated with the post, and that at least tonight Facebook treated you well. Also, beautiful work on http://www.thedailyfrolic.com/ and http://letsfrolictogether.com/ You tell some wonderful stories.